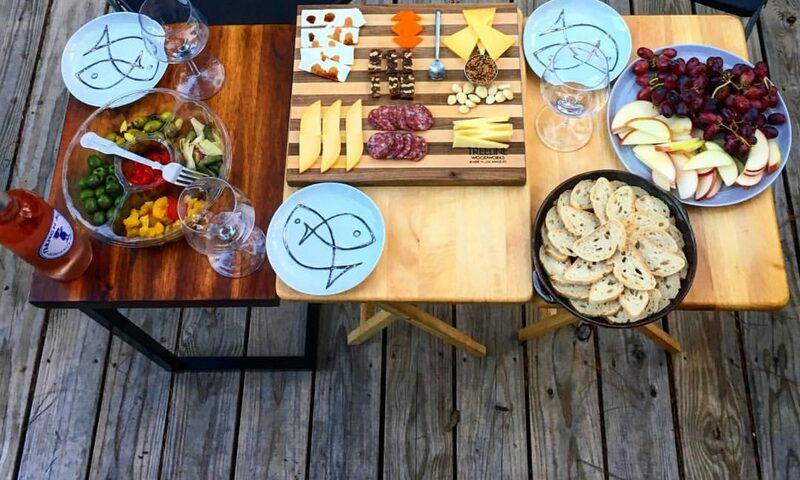 A few weeks ago, we hosted a Greek themed party. For this party, one of my contributions was tzatziki sauce. 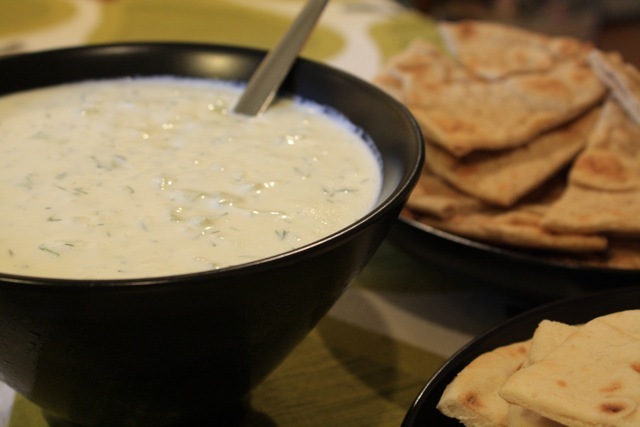 Tzatziki is a creamy, cucumber flavored sauce that is very versatile. This sauce is good spread on pita bread, as a topping for gyros and grilled meats, or as a dipping sauce for foods like spanikopita or cut vegetables. 1 english cucumber, peeled and finely diced. Place the diced cucumber in a paper towel lined bowl and cover with another paper towel. This will help absorb some of the moisture from the cucumber, resulting in a thicker, less watery tzatziki sauce. Let the cucumber sit for about 15 minutes. In another bowl, mix together the Greek yogurt and sour cream until combined. Stir in the garlic, lemon juice, olive oil, and fresh dill. Add the diced cucumber. Cover the bowl with plastic wrap and let sit in the refrigerator overnight. Stir again before serving. 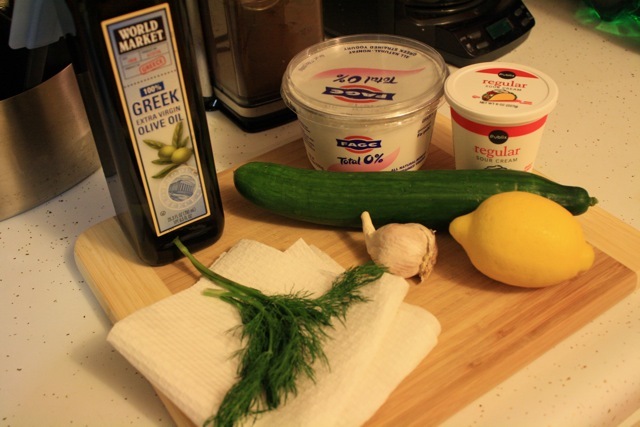 This tzatziki was a hit at our Greek-themed party and this recipe is one I would make again.